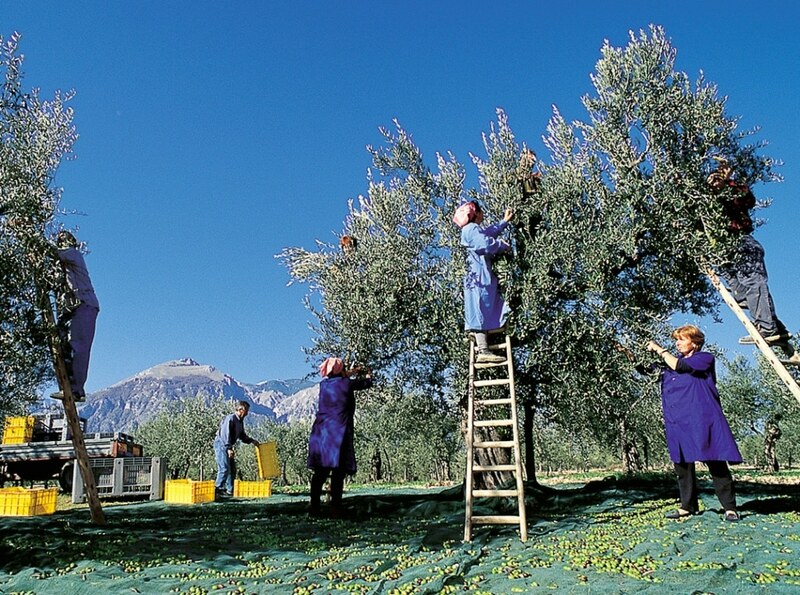 November in Tuscany is a very special month: it’s time to harvest the olives! “Extra virgin (EV) olive oil is extracted from fresh olives cold pressed without using any form of additives or solvents”. 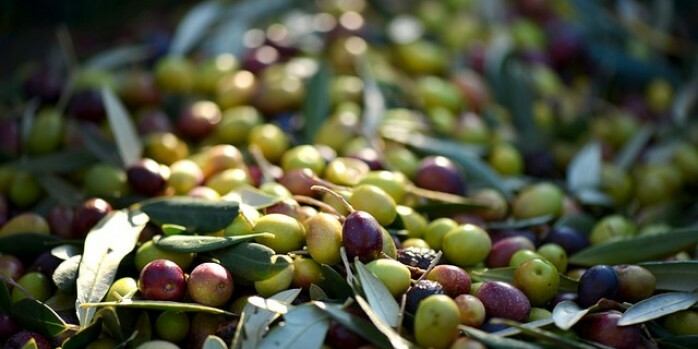 For the Tuscans, the new extra virgin olive oil is a sort of green-liquid gold. Every Tuscan farm has its own olive trees, which explains why extra virgin olive oil has always been the base for our regional cooking. Thanks to dedicated olives varieties – Cultivar – and the rocky, mineral soil, Chianti is well-known for producing one of the best and highest quality extra virgin olive oil of Italy. The more popular olive tree varieties are Coreggiolo, Leccino, Moraiolo, and Frantoio. In order to maintain the perfect integrity of the flavor and nutritional values, olives are pressed in a continuous cold cycle. This allows the extra virgin organic olive oil to have an acidity of not more 0,8 grams per 100 grams. It fights cholesterol. Extra virgin olive oil helps to lower cholesterol. It reduces the “bad” one and increases the “good” one. Antioxidant effect. Fatty acids and anti-aging vitamins (E, A, D & K) fight free-radicals, which are considered the major cause of skin aging. Although our body is naturally equipped with some biological means to neutralize free-radicals action, it is definitively advisable to reduce cells damage by using inhibitors which may lower the risk. One of the most precious, natural inhibitors is extra-virgin olive oil, whose lipid profile is very similar to that of human skin. Children. Extra-virgin olive oil is rich in monosaturated fatty acid and improves the absorption of many nutrients, which is good for the growth of children’s brains and bones. A drizzle of olive oil on your baby’s food is the perfect, healthy and natural condiment. Extra-virgin olive oil for a healthy digestive system. Olive oil is the ideal fat, not only because it benefits other parts of our body such as our heart, but also because it can protect our digestive system from ulcers. Studies show that by daily adding extra-virgin olive oil to your diet may help treat or prevent stomach ulcers. Highly digestible. Extra-virgin olive oil is 100% digestible (sunflowers-oil 85%, peanuts-oil 81% and corn oil 36%). Nutritionists recommend three tablespoons of Chianti extra virgin olive oil per day for a healthy lifestyle. Extra-virgin olive oil is rich in aromatic characteristics contributing to its uniqueness. It must undergo a sensory evaluation to describe its unique attributes: fruity, bitter and pungent. Good extra-virgin olive oil will smell like fresh green, ripe olives. The fruitiness refers to vegetable notes (green olive oil fruit and ripe fruit notes). So think of artichokes, grass, and herbs as “fruit” when you taste extra-virgin olive oil! This typical flavor of extra virgin olive oil comes from green olives just starting to ripen. The pungency sensation (just the tiniest tingle) is a positive characteristic of extra virgin olive oil that is young and fresh. Long conservation and reuse are possible but do not refrigerate the product. The extra virgin olive oil can be used raw or cooked, and it is the perfect the alternative to butter. For the raw use, it is perfect for bruschetta (toasted bread) with bread and garlic, on vegetables, on roasted meat, on steamed fish and with fresh cheese like mozzarella, fava beans – one of the most popular traditional Senese meal is Fiasco’s fava beans. I will be glad to share with you the recipe of this delicious dish should you be interested to try: just let me know! If you prefer to cook with olive oil, it can become a base for pasta sauces and it is perfect for frying (more than the seed oils mentioned above). Extra-virgin olive oil is the very best ingredient for producing cosmetics such as soaps, shower gels, and creams. Therefore, if you want your skin bright and young, these are perfect solutions. Let’s say it is so right to conclude that … more extra-virgin olive oil means more beauty!